A property tax (or millage tax) is a levy on property that the owner is required to pay. The tax is levied by the governing authority of the jurisdiction in which the property is located; it may be paid to a national government, a federated state, a county or geographical region, or a municipality. Multiple jurisdictions may tax the same property. This is in contrast to a rent and mortgage tax, which is based off a percentage of the rent or mortgage value. There are four broad types of property: land, improvements to land (immovable man-made objects, such as buildings), personal property (movable man-made objects), andintangible property. Real property (also called real estate or realty) means the combination of land and improvements. Under a property tax system, the government requires and/or performs an appraisal of the monetary value of each property, and tax is assessed in proportion to that value. Forms of property tax used vary among countries and jurisdictions. Real property is often taxed based on its classification. Classification is the grouping of properties based on similar use. Properties in different classes are taxed at different rates. Examples of different classes of property are residential, commercial, industrial and vacant real property. In Israel, for example, property tax rates are double for vacant apartments versus occupied apartments. 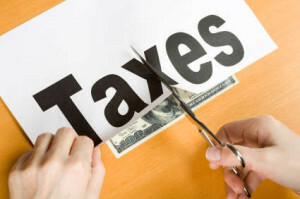 A special assessment tax is sometimes confused with property tax. These are two distinct forms of taxation: one (ad valorem tax) relies upon the fair market value of the property being taxed for justification, and the other (special assessment) relies upon a special enhancement called a “benefit” for its justification.